It sounds controversial, right? Well that’s kind of the point. 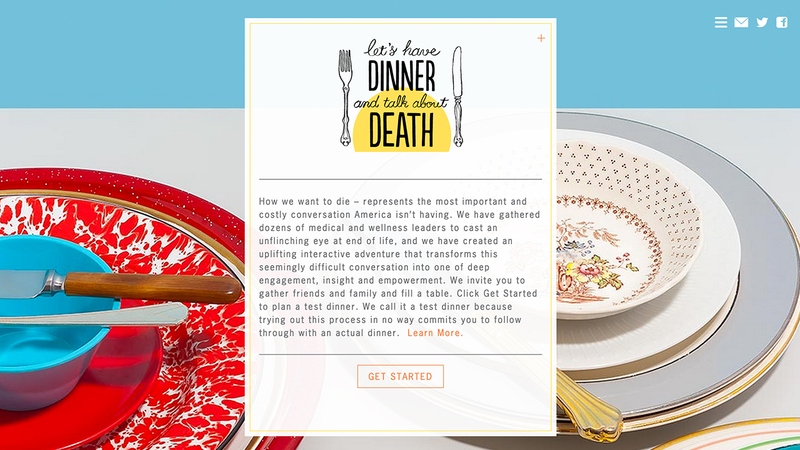 The UW Master of Communication in Digital Media (MCDM) program announced the official launch of Let’s Have Dinner and Talk about Death, “a project created to foster proactive and constructive conversations about end-of-life decisions,” bringing to the forefront a topic that is not frequently talked about. Check out their website (a full interactive version is being launched in the summer of 2013) and follow them on Twitter @deathoverdinner to stay updated on future developments. It has also just been announced that Hebb will speak about the program at TEDMED 2013 on April 18 in Washington, D.C.